Our range of products include cafe coffee day - e-gift card - e-gift voucher and cafe coffee day - gift card - gift voucher. 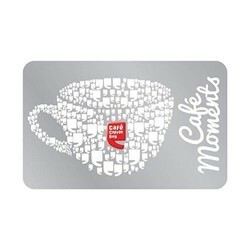 Cafe Coffee Day Gift Card "A Lot Can Happen Over Coffee"
Cafe Coffee Day is one of India’s favorite hangouts for the young and young at heart. It’s been brought to us by Amalgamated Bean Coffee Trading Company Limited, Asia’s second largest coffee company. This innovative cafe offers the complete package – it’s a chilled hangout, an excellent catering service and a great gift shop. Cafe Coffee Day offers a range of coffees, both hot and cold, along with lip-smacking snacks. This brand constantly reinvents itself; what started as a coffee house is today one of India’s most successful cafe franchises. Cafe Coffee Day is so popular, its fans passionately collect Coffee Day mugs and other memorabilia. 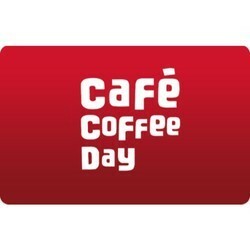 Looking for Cafe Coffee Day - Gift Cards - Gift Vouchers ?